In probate, personal representatives of estates, guardians, and trustees are all fiduciaries and therefore must act within the highest legal and ethical standards. This is true of someone holding your Power of Attorney, too. If such a person does not act in accordance with these legal and ethical standards, they face personal exposure to financial liability in breach of fiduciary duty lawsuits. (3) that breach of duty is the proximate cause of the person’s damage/harm. 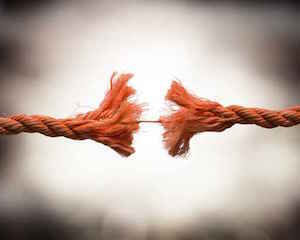 A lawsuit based upon breach of fiduciary duty may proceed in courts as long as the plaintiff can show that one party has accepted the trust and assumed the duty to protect a weaker party. Duty of Loyalty. The fiduciary must not use his position to benefit himself/herself at the expense of the beneficiaries of the estate or trust. His obligation is to protect the interests of the people entitled to the assets of the trust or estate and owes his undivided loyalty to the beneficiaries of the will or trust. Duty of Disclosure. The fiduciary must disclose all material facts to the beneficiaries of the trust or estate. This duty goes beyond the typical obligation to maintain accounts, and encompasses all material information the trustee or personal representative becomes aware of in her fiduciary capacity. Duty of Reasonable Care. The fiduciary must exercise at least the degree of care that a reasonably prudent person would devote to her own affairs. Many disputes arise with respect to this duty because beneficiaries frequently have differing views regarding what is reasonable or prudent and what is not. For example, in the context of investment strategy for trust assets, what is prudent to one beneficiary may be viewed as too conservative by some other beneficiary (and too risky by yet a third). may be self-dealing in some way. Examples might include selling or renting property to friends or family members at a bargain rate; taking assets (cars, computers, boats) for personal use, etc. If you think there’s been a breach of any of these duties, call us 860-259-1575. We can answer your questions and help you decide if you need to go to court. If court is the right place to address your matter, we will represent you in the most persuasive way possible.